On my recent trip to the UK, I decided to wander the streets in pursuit of a Coffee. As a got close to a cluster of shops, I noticed a rumbling from my pocket - but it wasn’t a phone call, and it wasn’t a text message; well not a text from a friend anyway. Surprisingly, coincidence or not, I received a push notification from Starbucks, altering me to a 50% coupon discount off my favourite coffee... perfect timing! I quickly made my way over to the store but saw no sales offers on the walls, no signs or POS collateral, but the staff member behind the counter did indeed confirm the offer was legit. It got me thinking, how did this all come about? How did they know? For businesses, the benefits of knowing about your customers’ location and movements are manifold. Fundamentally they all rest on the idea that the more targeted a marketing campaign is, the more effective it will be. Access to someone’s location is arguably one the best ways to focus and make the most of a marketing undertaking, as it not only lets marketers collect data about their customers’ habits, but more importantly, it lets marketers create campaigns that revolve solely around where people are, and what they might be doing. The world of marketing we one knew is changing... welcome to the world of location based marketing. There are a number of different methods that make up location based marketing; geo-fencing, geo-location targeting and geo-conquesting. The goal of these, as with any mobile marketing initiative, is to capture the end user's attention and turn them into a customer. With that in mind, let’s clarify a few of these key terms regarding location based marketing that anyone even loosely involved in the marketing process should be aware of. Geo-fencing is exactly what it suggests, a fence defining parameter around a certain geographic point. Geo-fencing uses software programs, GPS and radio frequency to define these areas. When incorporating this technology, users are able to set up triggers that will activate when a customers and their smart device enters a boundary or 'fenced' area. Depending on configurations, an SMS, push notification or email alert will be sent to the intended user. Many of the geo-fencing applications in the market today incorporate Google Earth, which allows its users to define boundaries on top of a satellite view of a specific geographical area. Geo-fencing is helping organisations around the world to better target their customer segments. 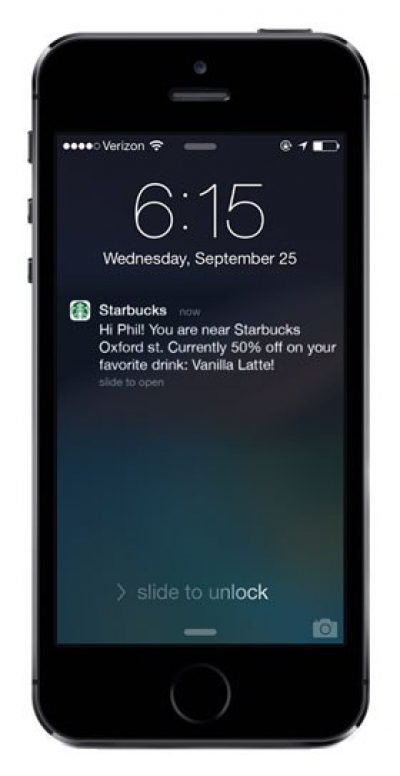 Restaurants are beginning to use geo-fencing to trigger push notifications with daily specials to opt-in customer near their store. Retail owners are using geo-fencing to attract customers for one-off sales and coupon redemptions around festive shopping times. Hotel owners are using geo-fencing around busy airports, flooding the airways with daily sales offers and special discounts. Even Car Washes are now using geo-fencing as a tool to attract customers to their locations "Is your car in need of a wash? Visit today and receive 20% off on a vacuum and wax as". From a marketing perspective, geo-fencing is a very effective tool to have. 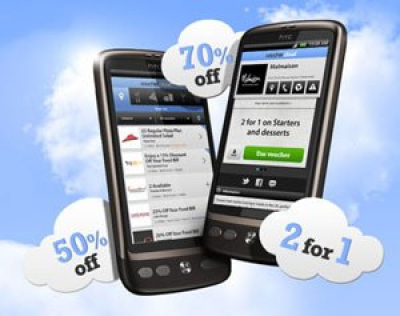 Vouchercloud have seen this first hand, reporting a click-through rate of 45% on its discount and coupon voucher offers for companies like Hotel Chocolate, Loch Fyne, Papa Johns, Prezzo, Strada and Subway. This high conversion rate demonstrates a clear consumer preference to receive timely promotional content via SMS. In its simplest form, geo-location targeting is a method used by organisations to determining the location of a website's visitor and then deliver tailored content to that users based on their location, country, region, states, etc. 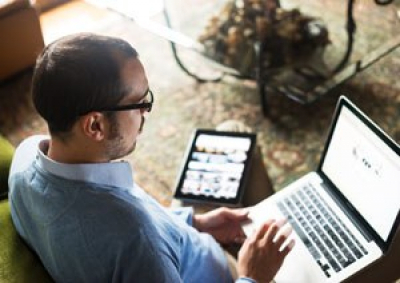 A common use of geo-targeting is found in the online advertising industry, as well as on internet television streaming sites like Youtube, Netflix, iPlayer and Hulu, which restrict content to users location in specific countries; serving as a means of implementing digital rights management. But there are many different applications for the use of geo-location targeting. Organisations such as Samsung use geo-location targeting to ensure the correct web page is being presented to visitors, accessing their site from all over the global. This ensures the user is being presented content in their local dialect. Google also commonly uses geo-location targeting in their ad banners, to ensure the correct tailored sales content is being presented - allowing them to run region dependent location based marketing campaigns and sales offers in alternative countries. Similarly, almost like an A/B split test, organisations are using geo-location technology to test different design elements based on the visitor’s location. Skype, for example, use multiple design display’s, imagery and colour schemes in their sales collaterals, which is heavily country specific. Geo-conquesting involves that use of a geo-fence to draw customers away from competitors. That means instead of defining the geo-fence around your store, you festoon your geo-fence around a competitor’s shop (or whatever else), and use it drag potential customers to your business instead. Geo-conquesting is a relatively new idea in mobile advertising that uses location based marketing (primarily through social media channels) to direct consumers toward your business. 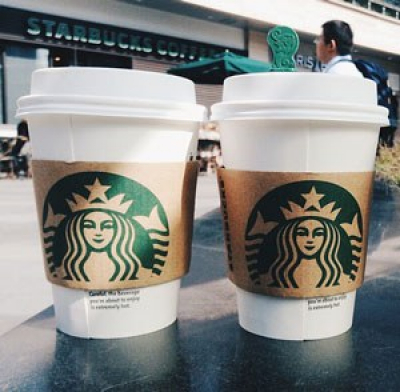 For example, if a local coffee shop wants to use this marketing method in their overall marketing scheme, they might target users who are at big coffee chains like Starbucks or Gloria Jean's with timely messages emphasising local deals, short lines or unique menu items. In the same light, larger competitors with much greater budgets may begin to use geo-conquesting as a tool to steal away customers from smaller competitors stores using the same incentives. The world of location based marketing is certainly an exciting one, however, it does raises many eyebrows, some positive and some not so. From a customer's perspective, you have the benefits of discounted items, but often at the cost of your privacy. Many say that spam messages won't be sent, and that you need to opt-in to the application to enable the messages, but it's felt as this technology evolvess the blurred line between privacy and privilege will only continue to lessen. From a business perspective? Well this is where it begins to get interesting. What sort of competitive backstabbing and price slashing will now evolve as a result of this technology? A beneficial fight for customers, but from a business perspective this opens the doors to larger organisations ripping customers away from smaller stores with discount and incentive offers, whilst the customer is in the competitors store. Nevertheless, this technology exists and it needs to be strongly evaluated. It has had some time to settle, to evolve, and reach a point that makes it highly useful for marketers. Personally I'm looking forward to it's evolution over the next 5 years from both a marketing and consumer perspective. So now it’s time to sit up, listen, and jump on board the geo-based location marketing train. Proceed with caution.